The proposed site of Konza Technology City currently has no infrastucture. 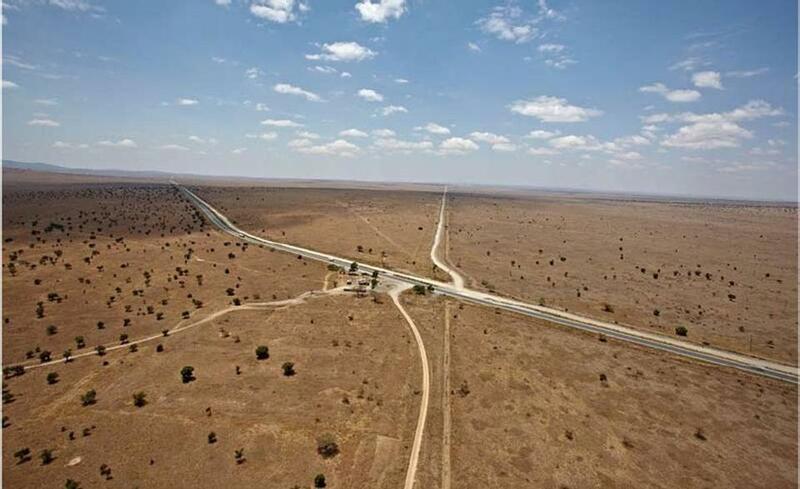 This desolate landscape is the site of the planned Konza Technology City, a glittering, futuristic “Silicon Savannah” that the Kenyan government hopes will help hoist the country into middle-income status by 2030. Infrastructure and talent are meant to concentrate there, to compete with places like Bangalore, India. Companies like Apple and HP are showing interest. The cost of land has skyrocketed, to the tune of tens of thousands of dollars per plot. What’s all the more striking is that when investors come to look, there is literally nothing to see. That makes me wonder: Are there inherent benefits to starting with a blank slate? Other tales of the tech boom in Africa raise the same question. In Nairobi’s Kibera slum, there is no sewer system, so public toilets have been built with bio-digesters that turn human waste into methane gas for cooking. In much of South Sudan, there is no electricity. So Mou Riiny, a former “lost boy” of Sudan who came to Winchester as a child, returned to his home village of Thiou to install a giant solar panel. Riiny, a recent college graduate in engineering, is setting up a system that uses the sun to charge batteries that villagers can rent and take home to run cell phones, light bulbs, and radios. South Sudan also lacks basic roads. So some are trying to convince the government to build its brand-new highway system with “rumble strip” technology that generates electricity merely by cars driving over it. Once you start looking for them, anecdotes about the benefits of a blank slate abound. Some of the fastest trains in the world started from scratch, while Amtrak trains plod along on century-old tracks. And in the lower ninth ward of New Orleans, houses were washed away so completely that it made way for something entirely new: a neighborhood of environmentally sustainable houses built to withstand a flood. In 1993, economist Paul Krugman and two colleagues outlined how less-advanced countries might “leapfrog” over more advanced competitors by learning from their mistakes and skipping expensive, antiquated technologies. Since then, the idea of leapfrogging has become all the rage, as nations with no telephone poles “leapfrogged” straight to cell phone towers. But nothingness has its skeptics. Diego Comin, an associate professor at Harvard Business School, says emptiness is overrated. He has studied the diffusion of technology over hundreds of years, and says technological advances almost always build on what was there before. “It is very clear that having experience adopting previous technologies that are close is a huge advantage (often a necessity) towards adopting subsequent technologies,” he wrote in an e-mail. In other words, nothing comes from nothing. Countries that built the first reliable railroads went on to build the first reliable highways and the first reliable electrical grids. Success compounds success. Even with cell phones — perhaps the best example of leapfrogging — countries that have the most cell phones users per capita tend to be the ones that had the most telephone lines. Comin believes that a nation’s wealth today can be traced back to people’s willingness to adopt new technologies as far back as thousand years ago. Comin’s research suggests that the whole idea of “leapfrogging” is myth and that developing countries will always lag behind. That’s depressing. But I’m not sure it tells the whole story. I have seen what I have seen: Methane gas produced from toilets that most Americans would never have thought to make, because of an invisible luxury — a sewer system — that works so well we don’t even think about it. So I’ll go out on a limb and proclaim that nothingness has its advantages. And I’ll make a crazy prediction: The next generation of high-tech billionaires will come from places like Kenya and India and Brazil, where people are busy solving problems that most Americans don’t even know exist. Innovations in Africa are being spurred by the same driving force that has inspired inventions since the beginning of time: the absence of a solution to a human need. If Kenya can turn a barren landscape into a high-tech city, there is no telling what people with an abundance of nothing might produce next. Farah Stockman can be reached at fstockman@globe.com . Follow her on Twitter @fstockman.